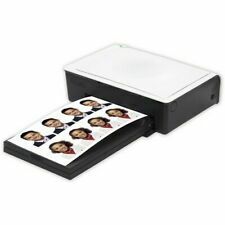 "Photo studios, photographers on location, and anyone who likes to make prints of family and friends will enjoy using the dye sublimation P310W ID Photo Printer from Hiti. As an ID printer, the P310W can output fifteen 1 x 1.2", six 1 x 1.2" & three 2 x 2", or two 2 x 2" headshots per 4 x 6" print. Hiti Pringo P231 Portable WiFi Mini Smartphone Photo Printer- Brand new in a box. Condition is New. Shipped with USPS First Class Package. Hiti Pringo P231 Portable WiFi Mini Smartphone Photo Printer. Connection type WiFi. 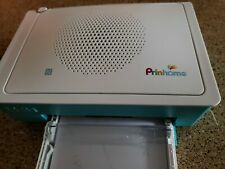 1 x Photo Printer. 1 x US Plug Adapter. Size 94mm x 145.8mm x 25.1mm. 1 x USB Cable. Print technology Thermal dye sublimation. Connection type WiFi. 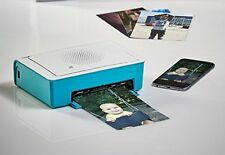 1 x Photo Printer. Print technology Thermal dye sublimation. Print speed About 60 seconds. Support photo format JPEG, BMP, GIF, PNG. 1 x User Manual. Weight approximate 384g (Battery is included). Up for auction is a new open box Hiti Pringo P231 Portable WiFi Mini Smartphone Photo Printer. Box is open but item has never been used. Comes with all items including printer, user manual, warranty statement, 10 sheet photo paper, 10 sheet ribbon cartridge, battery charger, battery, AC adapter and USB cable. Tested power on only. Thanks for looking and good luck bidding. It appears to be new in open box - seal is broken but contents are still plastic wrapped. NFC one-touch connection. HiTi M610-Front-loading Interface. Small, Compact and Lightweight - HiTi M610. HiTi M610-High Speed Printing. With technology upgrade, M610 provides an outstanding printout with consistent print quality. TFT LCD Wizard Window provides various print modes and image editing and enhancing functions - Print index pages, ID badges, stickers and more -- easily edit the images before printing them out. Continuous-Tone Printing provides dot-free photo prints with superior color reproduction. Compatible with iPhones and iPads running iOS 6.0 . Baby & Toddler Clothing. Baby Accessories. Compatible with Samsung Galaxies and other Android devices running OS 4.0.3 . Compact color photo printer. TFT LCD Wizard Window provides various print modes and image editing and enhancing functions - Print index pages, ID badges, stickers and more -- easily edit the images before printing them out. For this reason, we are typically unable to honor cancellation requests.